Poster issued by the Unionist Party for candidates in Victoria Ward in East Belfast Municipal Elections. Printed blue on white. 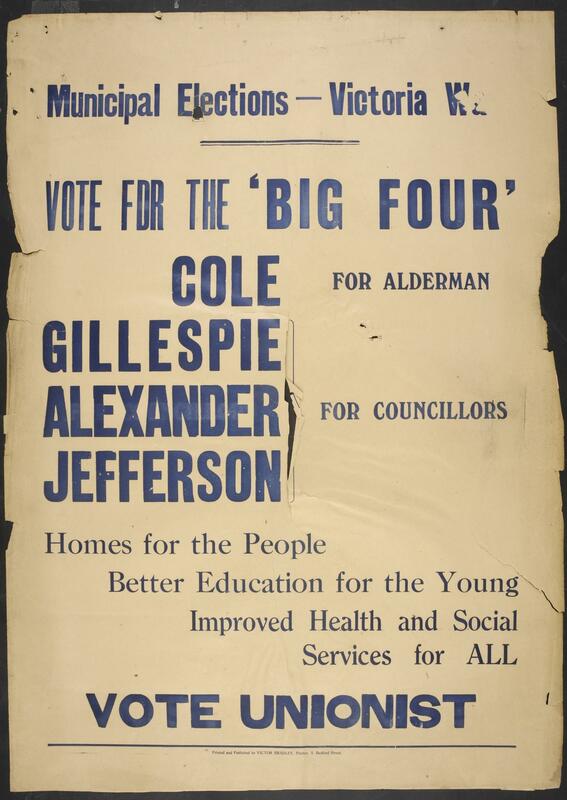 'Vote for the Big Four; Cole, Gillespie, Alexander, Jefferson... Vote Unionist.' Printed with blue text on a white background.